If there was a messy way to decide on colors for a quilt, I think I found it. 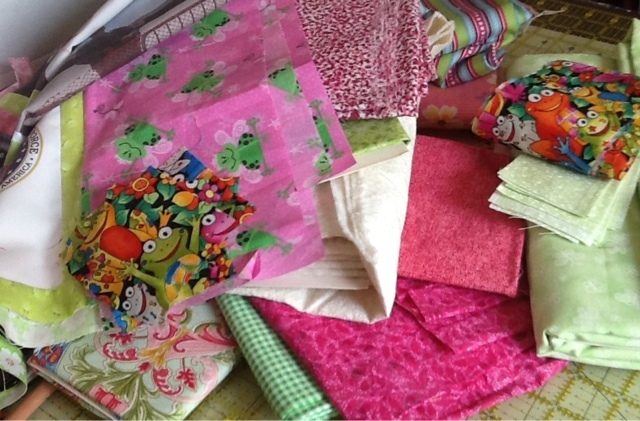 Lately it seems I pull all kinds of fabrics off the shelves and out of the drawers to make my decision. We'll see how many of these fabrics actually wind up in this next little girl's quilt.